CURECAULK arcylic latex caulking is a superior quality siliconized acrylic latex caulk that is mold and mildew resistant. 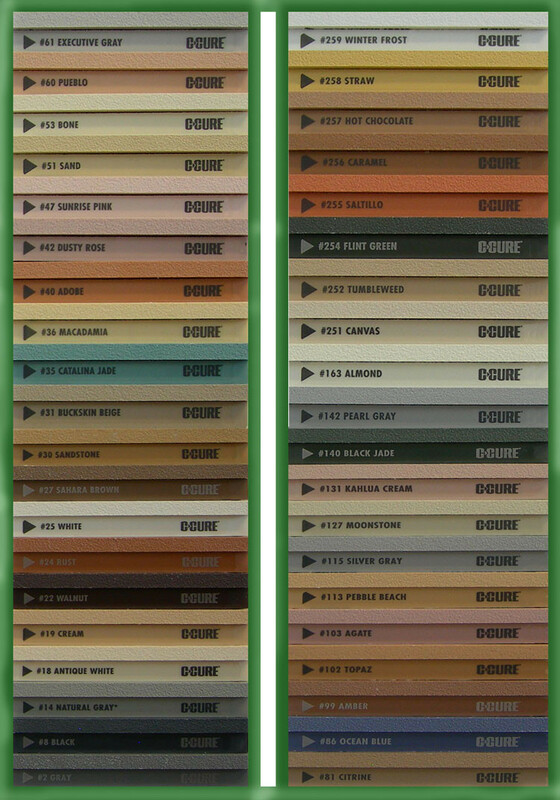 CURECAULK arcylic latex caulking is available in all of C-Cure's grout colors. Easy to apply and cleanup. Used this to caulk around our sunken tub and in the shower. It matches the sanded grout beautifully and my 16 year old bathroom looks new. Product works great, easy to apply, matches existing grout. Shipping was very fast, I\'d actually prefer the option of waiting another day or two for delivery to reduce the shipping costs (-1 star).